We hold expertise in manufacturing and supplying the finest quality Organic Rice . The Organic Rice, available with us, is known for its great aroma and flavor. The Organic Rice has high nutritional value. 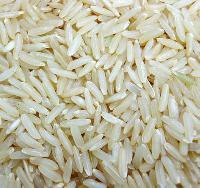 We are offering Organic Rice in proper packing, so as to retain its purity and nutrition. Olam international is one of the leading exporting & supplying company of pure pusa basmati rice. Olam international is one of the leading exporting & supplying company of pure basmati rice.